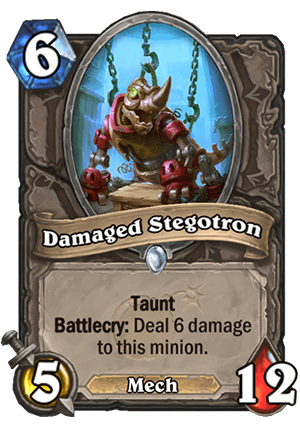 Damaged Stegotron is a 6 Mana Cost Common Neutral Minion Mech card from the The Boomsday Project set! Taunt Battlecry: Deal 6 damage to this minion. Rating: 3.0/5. From 615 votes. Another one of those cards that are mostly meant to be cheated out somehow, not played from the hand. If you play it from the hand, you end up with a 5/6 Mech Taunt for 6 mana, which is really mediocre, pretty much vanilla stuff you would never want to play. But if you somehow manage to get it out of your hand, then it’s a 5/12 Taunt for 6, WAY better. Like, Sleepy Dragon with an extra point of Attack. Which means that you can utilize it in let’s say Paladin deck with Kangor's Endless Army. While at first it will be a 5/6, if you end up reviving it, it will be a full 5/12 Taunt. It can be used instead of Sleepy Dragon in Big/Recruit Warrior. If you Recruit it, it’s 5/12. If you draw it, you can summon it with The Boomship. Or in the worst case scenario, just drop it as a 6 mana 5/6 Taunt. It also makes some sense in Priest deck – it still has 12 max health, so you can heal it up like Injured Blademaster. Overall, I believe that this minion should see some play. 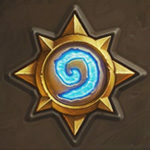 Not for its vanilla stats, but for the fact that you can do much more with it in the right deck. It’s not exciting to play by itself, but if you revive it/cheat it out, then it’s amazing. 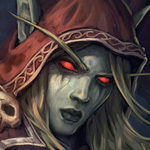 This&Brann=W H O K N O W S W H A T S E C R E T S W E ‘ L L U N C O V E R-6 mana nothing. Kind of like the Mech equivalent of Witchwood Grizzly. Something you want to recruit out or cube. Mech paladin with the legendary spell? Oh, also priest with lady in white, inner fire, ect and then you can just circle of healing and revive it. It’s 1 more attack and costs 3 less than Sleepy dragon. Play this in mech warrior, legendary spell to summon it and 2 other minions from your hand, if you played Dr then it has rush. Pretty good. Have you thought about Lady in White with this card? I’ve played lady in white a bit, you just use the 3/12 bear for that, it is better to drop an 8/8 dragon than a 12/6 mech in general. Recruit Mech Warrior (this replacing sleepy dragon). 3/5 because playing it from hand is not good for Warrior. Have you thought about warrior ???? Its really better to just play Sleepy Dragon instead. +1 Attack is not that better, and you would never play it from hand. Also it dies to shadow word, so yeah, Stegotron is not that good. But I found it usefull in my priest deck with lady in white.